My first ever trip to Melbourne was in December and I was in love with the cafes in and around the CBD area. Beautifully situated on the ground floor of a heritage-style building was the Old Chamber cafe. They offer a combination of different contemporary breakfast to lunch options. The Soft Shell Crab burger I had was bursting with flavour from the sweet chilli dip and texture from the crunchy crab on fresh lettuce and tomato. There was also a gradual contrast in taste with cold creamy avocado and the slight tang of sour dip yoghurt condiment. 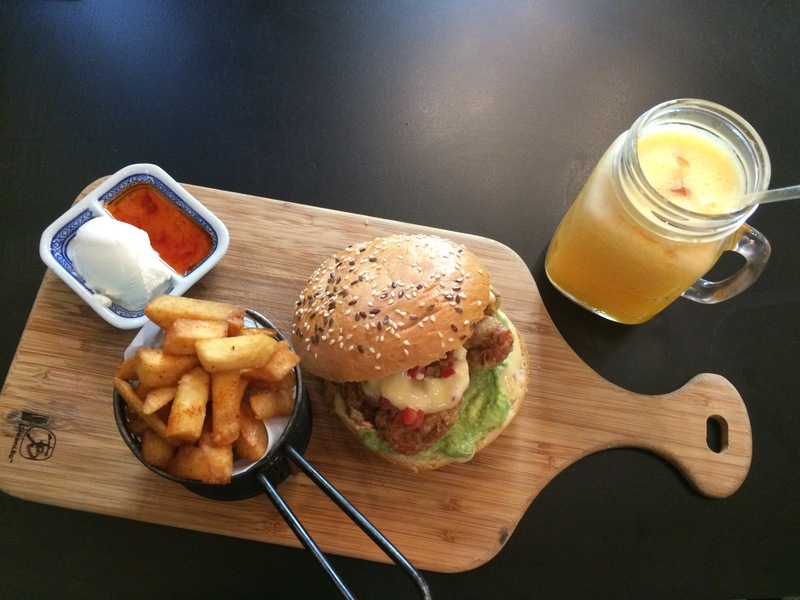 With a mug of freshly squeezed orange juice or special blend coffee, this will set you back about $20AUD. This is a bit pricey but a true offer of quality food that was unbelievably tasty.